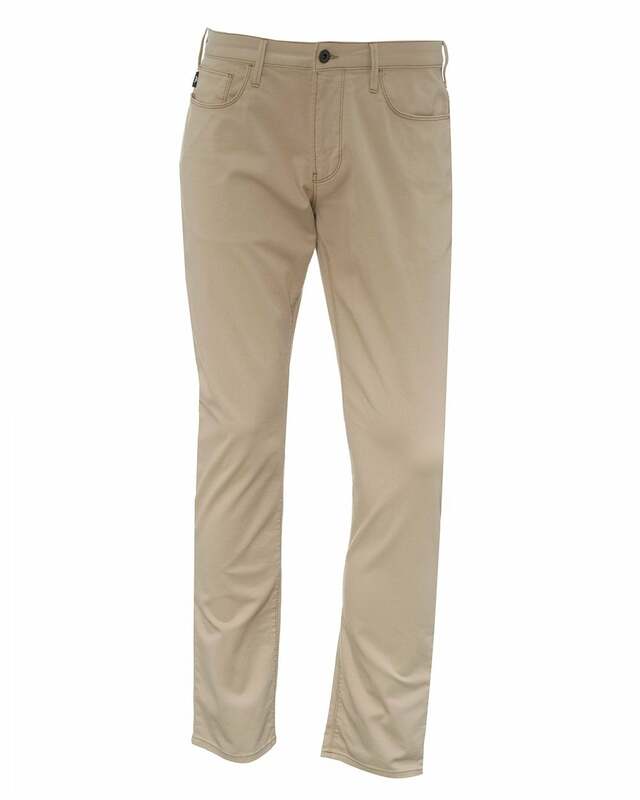 These beige coloured jeans perfectly blend both smart and casual styles. This slim fit, high quality pair of jeans are finished with silver hardware and the iconic Armani eagle on the back-pocket. If it's from a meeting to lunch or watching a school play to dinner, these coloured jeans are the perfect choice. Try these with loafers and a crisp white shirt for a more formal look or with white trainers and a polo top to be slightly more casual.